Feminism is still a taboo in Pakistan. Anyone who claims to relate with the ideals of feminism is met with ridicule or worse, suspicion. The overwhelmingly negative response to the recently held ‘Aurat March’ in various parts of the country provides meaningful insight into the prevalent mindset in a section of our society. A clear majority of our educated middle-class believes that Feminism and related domains like Gender Studies are confined to women and their issues only. That the world view taught in these fields is through the prism of a specific gender only, and their main agenda is to impose on the rest of us a self-conceived notion of women power. This lack of understanding or fear of the unknown provides a very fertile ground to those who wish to propagate further misgivings about reforming our society. Such realities do not correlate with the aspirations of a country that wishes to break into the developed world sooner rather than later. 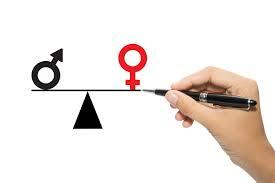 The rights of women and their issues are not a recent trend dating a few years or even a single century. The Seneca Falls Convention of 1848 in New York is considered as the first convention to discuss the social, civil and religious conditions and rights of women. Similarly, Islam has also laid forth a comprehensive list of the rights but we in our zeal fail to highlight the gap we have between the written text and implementation. Therefore, campaigns like the ‘Aurat March’ are bound to happen. 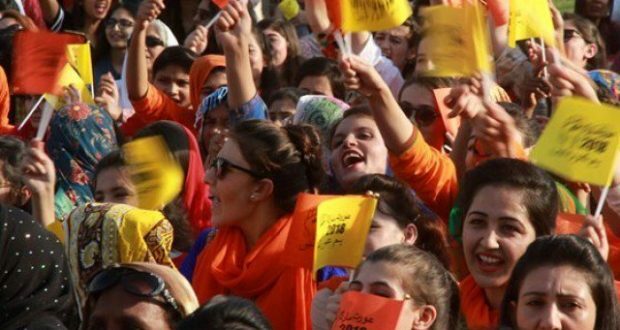 The march raised eyebrows because it broke the stereotype around the middle-class urban woman in Pakistan. The educated, working woman dressed in her best is not expected to break from her traditional image of a contributing but docile member of society and venture into the unpredictable world of activism. Admittedly, some placards were a bit controversial and as a result, the debate in the aftermath of the march has shifted from the actual issues faced by women to one of propriety and acceptable decorum. But imagine if this march was not held the way it was. Instead of being loud and bold, it was restricted within the safe zone of social norms. Would the same debate about the role of women in society and how they have been treated in the past been generated? Meek women make for weak men. It is not possible that the human which gives birth be insecure, out of depth outside her walled world and molds her aspirations according to the social expectations, but her offspring be fit enough to change the world by taking on its biggest problems. In fact, I will go out on a limb and state that even in Pakistani men there is a glaring omission of personality development which is obvious especially when working abroad. Of course, the caveat in this is that this is just my observation and in no way a generalisation of every Pakistani man. Remember when Mukhtara Mai happened or when Malala happened? In the aftermath of those tragedies, the rest of the world had a condescending attitude towards us. We hated how someone else hijacked our cause of protecting our women and built their own narrative on how we fail to protect and promote our women. Instead of soul searching and course correction, some of us started pedaling the narrative that these victims had betrayed the country and in the process had become a tool in the hands of enemies. This is how we chose to tackle our cognitive dissonance. There is every probability of such events happening again because we have learnt no lessons. Yes, there is a greater realisation compared with before that things need to change but on ground the present looks a lot like the past and the future a lot like our present. We cannot control how the world perceives us, but we can certainly fix what is in our hands.